Welcome to West Main Complete Dentistry, where we’re ready to serve the needs of patients of all ages with honesty, respect, and compassion. We treat you like family and ensure that every visit you have with us is pleasant and more enjoyable than the last. 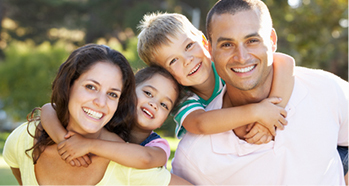 We have one simple approach to dentistry - to provide you and your family with outstanding dental care in a welcoming, relaxing, and comfortable environment. This patient-oriented philosophy is the cornerstone of our success and is essential to the DELIVERY OF GENTLE DENTAL TREATMENTS that are both sensitive and specifically tailored to meet each individual patient's unique set of needs. Trips to the dentist can be challenging, but we’re committed to helping you see how easy dental care can be. Dr. Kao has developed a reputation as a GENTLE, caring dentist. In fact, many of our patients tell us that their experience with us was the most stress-free, enjoyable dental visit they’ve ever had! Visiting the dentist should be a comfortable experience, and we focus on your needs first, making sure that you feel at ease every time you visit. From the moment you arrive at our office, you have our complete attention, and we’re not satisfied until you leave us with a healthier smile. 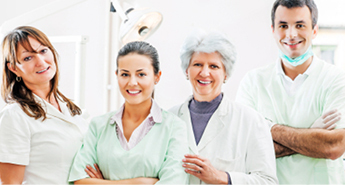 We strive to build trust and encourage our patients to voice their concerns and ask questions. 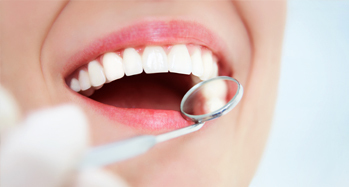 We want to take any unnecessary stress out of your dental care. Our flexible office hours are designed to fit your busy schedule. You can schedule your appointment before or after work, or even on a Saturday if that’s more convenient for you. Dental emergencies can be upsetting, so it’s good to know you have a familiar place turn if you need immediate treatment. Give us a call and we’ll see you the same day so you can get relief as quickly as possible. Insurance coverage and financing are a major concern for everyone these days. We are IN-NETWORK WITH MOST INSURANCES and will process your insurance claims on your behalf. If you’re interested in payment options for out-of-pocket expenses, we’ll also be happy to discuss CareCredit INTEREST-FREE FINANCING. The team at our Rockaway dental office is ready to welcome you and your family and provide you with the best care you’ve ever experienced. Please give us a call to schedule a visit – we look forward to welcoming you!